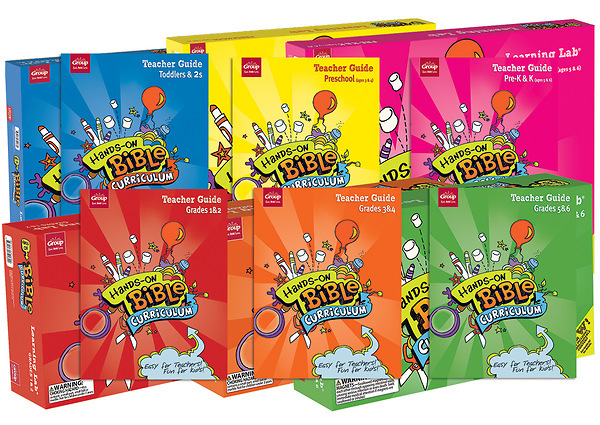 Hands-On Bible Curriculum Super Value Set includes 6 Learning Labs® complete with Teacher Guides and CDs included—one for each age level. Now all your children’s Sunday school teachers can teach as Jesus taught! Hands-On Bible Curriculum provides age-appropriate, fun, hands-on learning for Toddlers through 6th grade. WARNING: CHOKING HAZARD– Not for children under 3 years of age without adult supervision. Adult assembly required. This contains a small part, small ball or marble.